Last Sunday, I spend the afternoon, looking for photo opportunities around Soho in Central London. Even though the capital of the United Kingdom has developed a bad reputation for being "photography unfriendly", it still remains an interesting place for classic "Street Photography"! 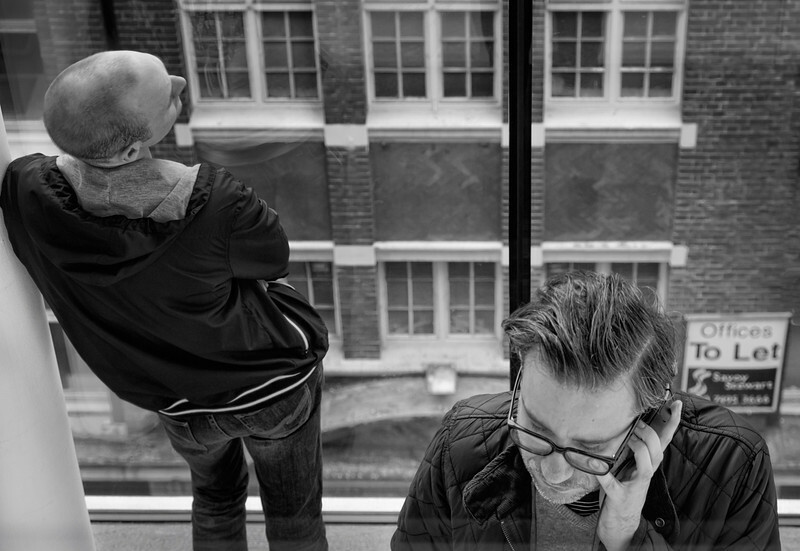 I briefly visited "The Photographers' Gallery", just of Oxford street which always gets the creativity juices flowing! More images of the afternoon "Street shoot" can be found in a new gallery called: "Shooting the Streets of London". End of March, I spend a week in Portugal; 2 days of shooting in Lisbon followed by a 1000 km photography trek around Alentejo. 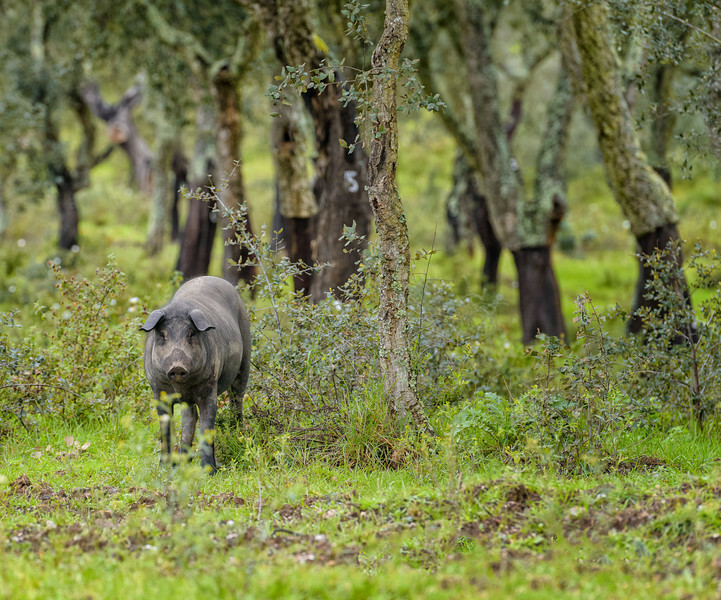 Probably one of the least known areas of Portugal, Alentejo is largely an agricultural area. 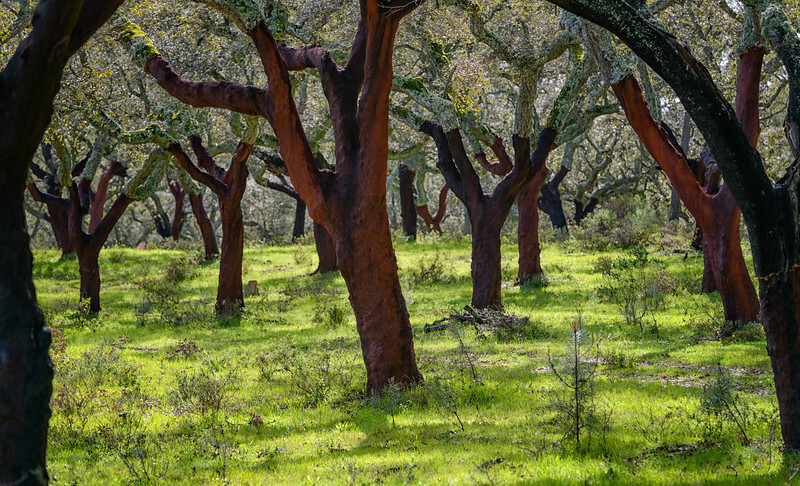 Since about 50% of the worlds cork production is harvested in Portugal, the area is literally dominated by thousands of cork oaks. 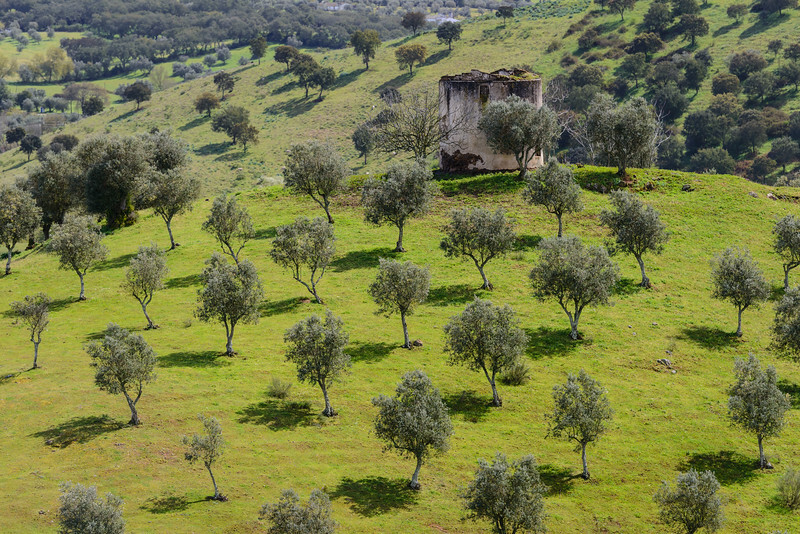 Beside the cork production, the area also has vast numbers of olive trees. 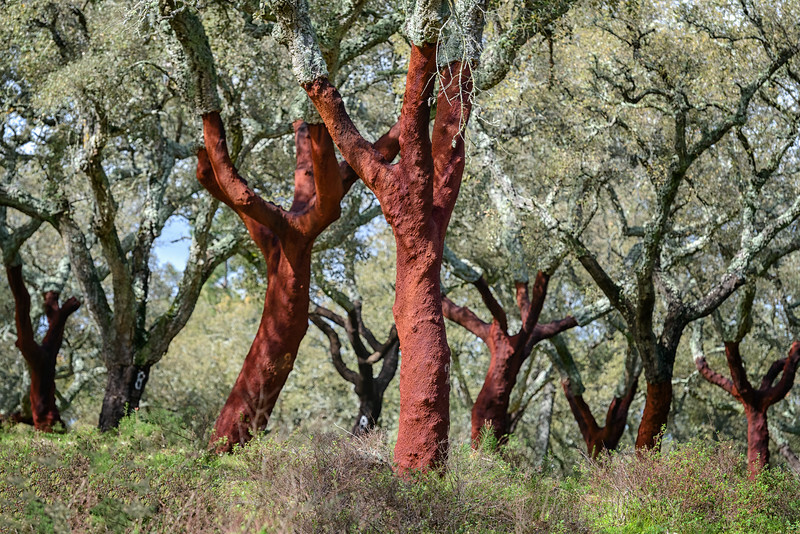 Some of these are hundreds of years old with one particular one near Lisbon, being classified as being 2850 years! 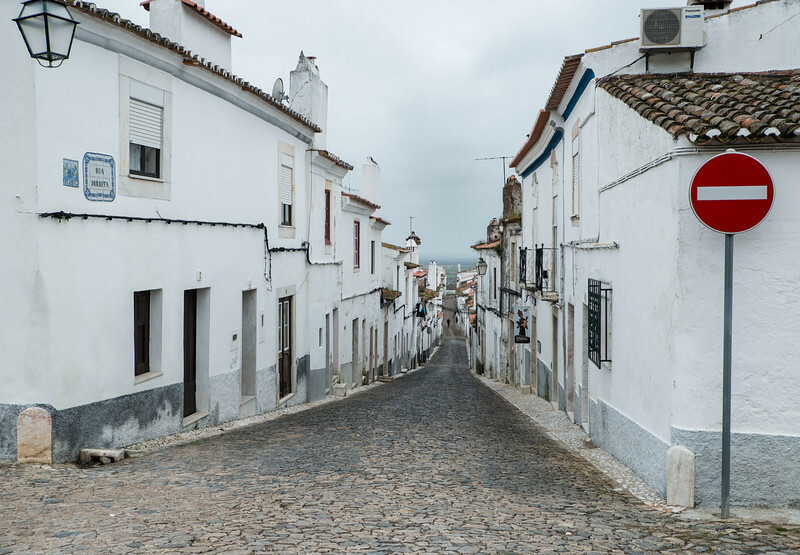 Even though Alentejo covers a third of the countries total area, it only holds 7% of the population. I guess the image above tells it all! 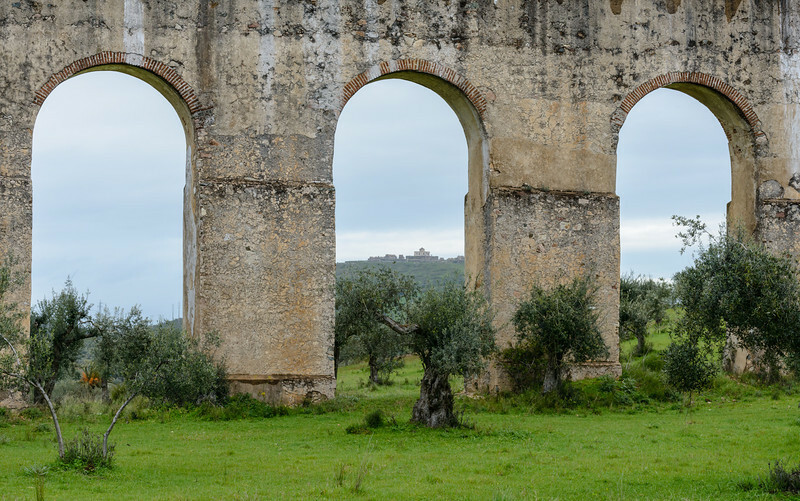 Close to the Spanish border, we visited the city of Elvas, where I photographed the Amoreira Aqueduct. This architectural wonder, with towers rising more than 30 meters, was started in 1498 and was finally finished 124 years later. There are plenty of photographic opportunities along this 8 km long structure, which rightly has become a National monument. Part of Alentejo is also a huge breeding ground for thousands of White Storks. While most of these birds used to be migrating to West Africa for the winter, some of them are now staying in Portugal all year round. 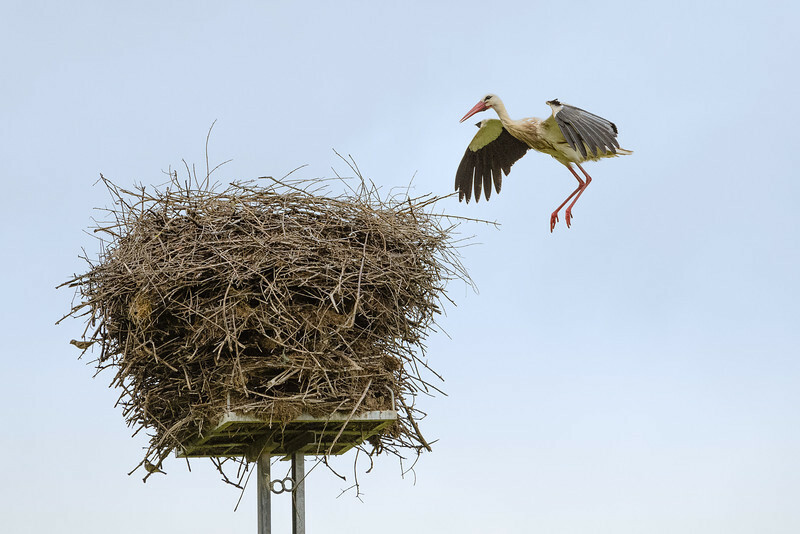 Over the years, there has been a huge effort by the electricity companies to make electricity pylons safer for Stork nests. Towards the end of the trip, we paid a visit to the wild coastline of Alentejo. 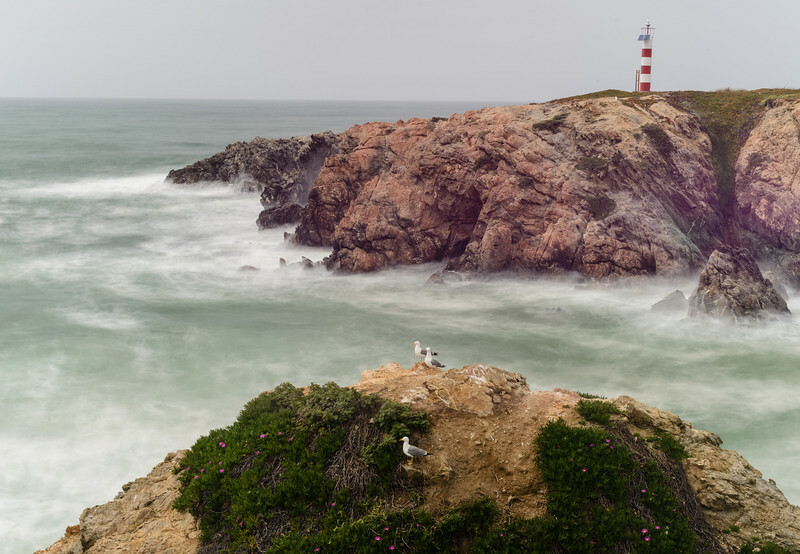 Porto Covo, 170 km South of Lisbon, proved perfect for some long exposure photography. 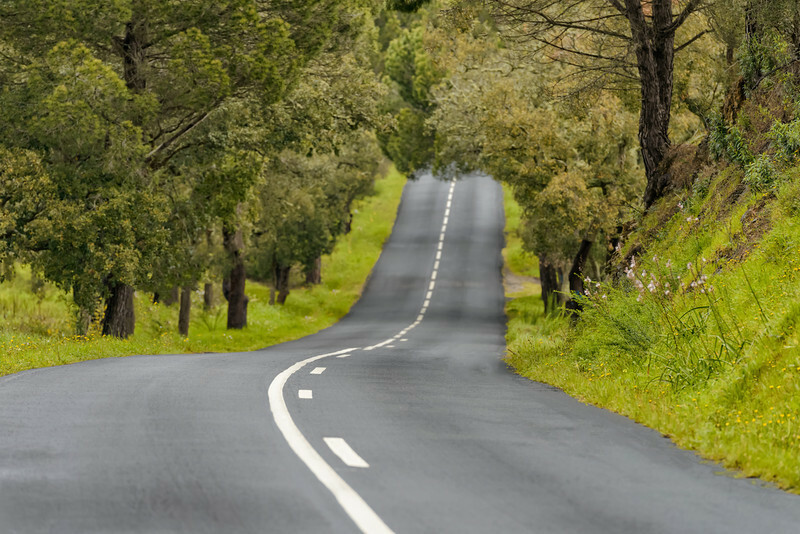 When I first started planning the trip, I had visions of wide open colourful spaces with a single tree. Pretty much like the image above. 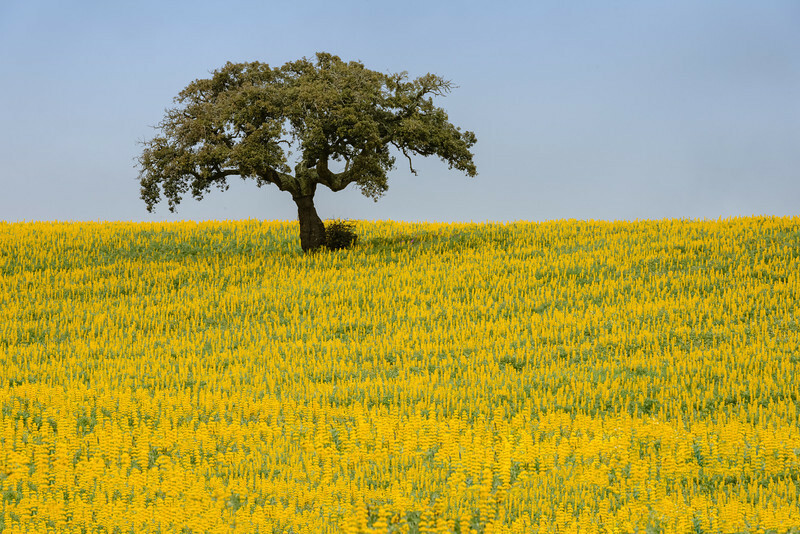 Even though the weather did not fully cooperate, the weeklong trip to Alentejo and Lisbon was another interesting travel photography adventure. As some of the readers might know, I've been brought up amongst aircraft and spend a large time of my teenager years at the small grass airfield of Moorsele, Belgium. A recent interview about my 25 years of flying, can be found here. Sorry, it's only in Dutch. Whenever I'm visiting my home country Belgium, I always try to pay a quick visit to my aviation roots and that's exactly what I did earlier this month. Some years ago, the guys at the Belgian aviation blog Apron 6, have released the following video about Moorsele airfield. Pic(k) of the week 15: Headless Stork taking-off? As explained in my previous post, I did spend some time in Portugal end of last month. 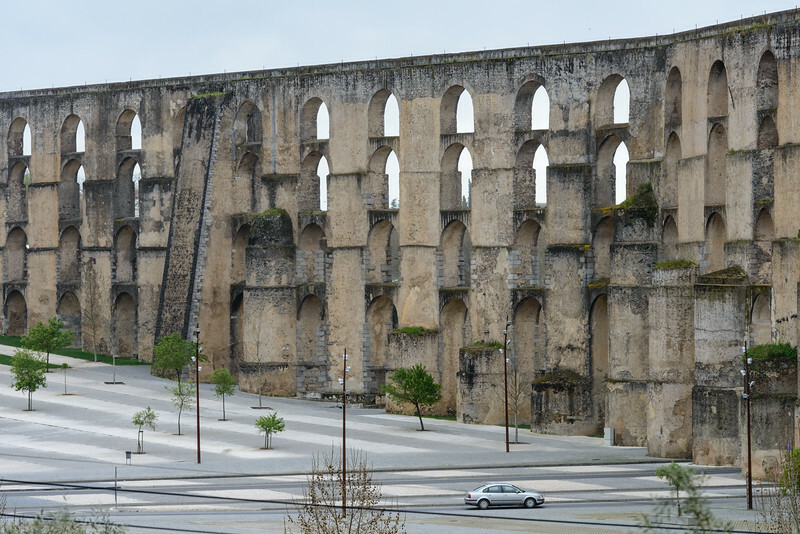 An overview of the touring around Alentejo, is scheduled for the end of next week. 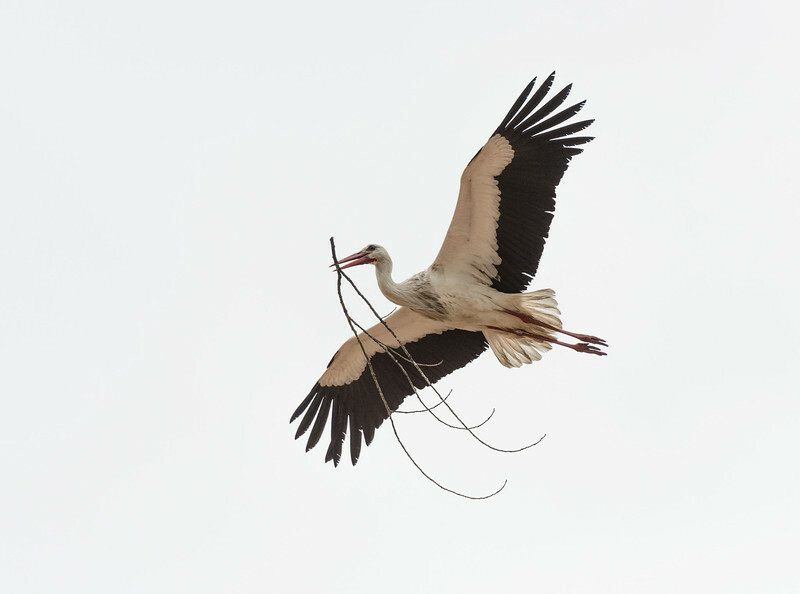 It was in Alentjeo, that I photographed this Stork taking-off from its nest, on top of an old lighting pole. 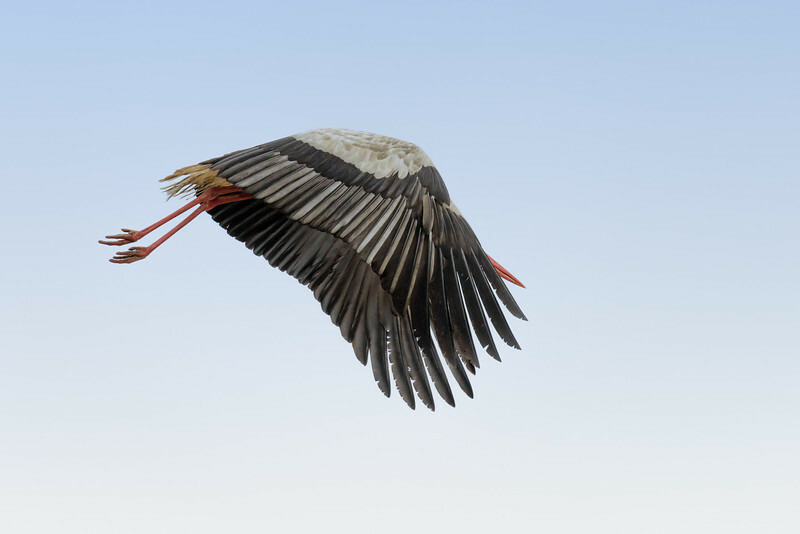 Because of the lack of wind, the 2 meter wingspan White Stork, had to dive to the ground in order to generate enough lift to stay airborne. In this process, its head was almost completely hidden behind the enormous wings. 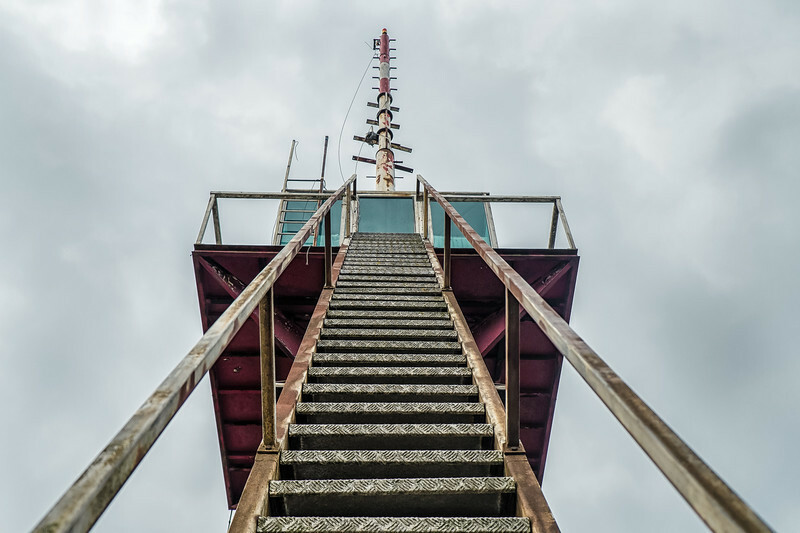 One of the advantages of using the ultra high resolution Nikon D800 (36million px), one can easily crop the image and still get a good resolution image. That is exactly what I've done in the one above. Remember,"Flying is learning how to throw you at the ground and miss" - Douglas Adams. End of March, I spend a week in Portugal on a mixed holiday/photography trip. The first few days, I revisited the capital, Lisboa (Lisbon) and was pleasantly surprised how the most Western European large city has changed since the World Expo in 1998. 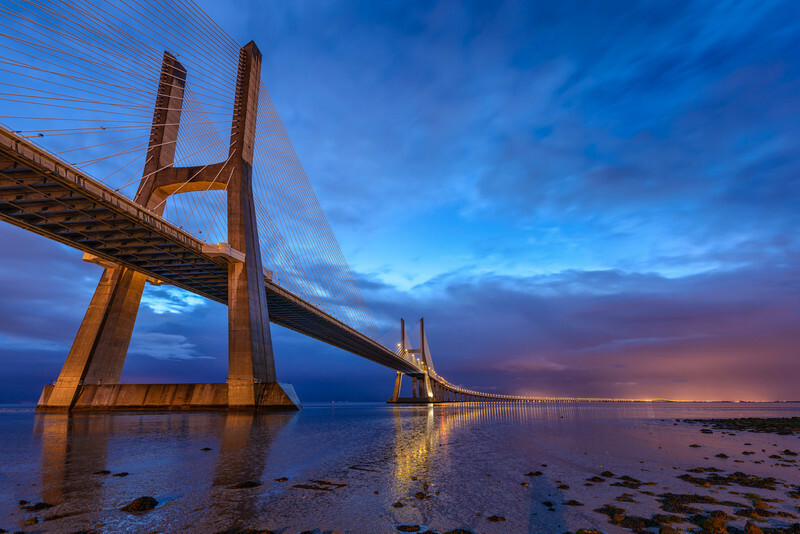 One of the most remarkable architectural achievements, is the new "Vasco da Gama bridge" which opened March 28th 1998, just in time for the World Expo '98. With a total length of 17km, the bridge is Europe's largest one. It was built to relief its older brother; "the 25th April bridge". I was particularly interested in photographing this architectural beauty in pre-sunrise light. Online research brought me to the "Parque Tejo"; a park at the western site of the bridge, ideal for a sunrise shoot. Because I planned to arrive at the site well before sunrise, the scouting the day before proved very valuable. Not totally unexpected, the taxi-driver called me a "crazy man" when he picked me up from my hotel at 0515am in pouring rain. Fortunately the rain eventually stopped and just before sunrise the dramatic sky turned a beautiful blue/magenta. Over the next few days, more images will be uploaded to my "Lisbon"gallery.